Tomorrow, parliament will debate whether to extend the participation of the Canadian Forces in the NATO operations in Libya. First, it should be said that parliamentary approval of the operation is essential. Legislative oversight of the executive’s decisions to go to war is crucial for both democratic accountability and for reducing the likelihood of involvement in unwise or illegitimate adventures. Canada is one of the few liberal democracies that does not have a constitutional or legislative requirement for such approval, but tomorrow’s debate is part of an increasingly established practice in Canada of parliamentary involvement in decisions to engage in armed conflict. In order to make the debate meaningful, however, parliament must take seriously the issues before it. Members have a duty to rigorously interrogate the government’s motives, and to question the rationales advanced for continued involvement in the conflict. It is not enough to accept platitudes and vague assertions about Canada’s duties as an ally. Rather, there must be hard questions asked about the continued legitimacy of the operation, what exactly the objectives are, and how precisely our involvement advances the national interest or is consistent with our national values. It should be recalled that the initial objective of NATO’s operation was to prevent a pending humanitarian disaster, when Libyan armed forces were poised to take Benghazi. The United Nations Security Council authorized, in Resolution 1973, the use of force to impose a no-fly zone, and to take all necessary measures to protect civilians. It was a classic humanitarian intervention, with the explicit objective of, and authority limited to, protecting civilians.President Obama and Secretary Clinton on numerous occasions stated that while the political objectives included the facilitation of a transition to a new government, for which reason Colonel Gaddafi had to leave, the military objectives of the intervention was strictly limited to the protection of civilian populations under threat from Gadaffi’s forces. The objectives of NATO have clearly evolved. In classic “mission creep,” the operations now are obviously aimed at driving Gaddafi out. Last week NATO, with Canadian air force participation, again bombed Gaddafi’s compound in Tripoli, which cannot be explained as being related to the protection of civilians. The Canadian government’s objectives are just as clearly aligned with this new goal of enforcing regime change. 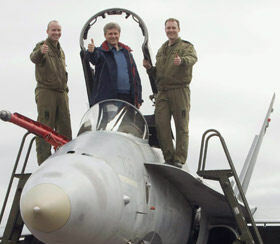 Defence Minister Peter MacKay has suggested that Gaddafi’s departure is necessary to the goal of protecting civilians. While it is patently not true that killing or exiling Gaddafi is necessary for the protection of civilians in Libya, the statement reflects an acknowledgment that forcing Gaddafi out is now the stated goal of the Canadian government. Members of parliament need to clearly understand, for the purposes of tomorrow’s debate, that this objective of regime change is illegitimate and unlawful. The Security Council Resolution very explicitly limits the authority for the use of force to the establishment of a no-fly zone and the protection of civilians. At the urging of Arab League members of the Council, it even quite explicitly excludes any foreign occupation force in any part of Libya, in contemplation of any attempted foreign-imposed regime change. As NATO operations increasingly extend beyond the narrow mandate of protecting civilians from immediate threats, they are moving outside of the legal authority provided by the Security Council. Under international law the use of armed force against the territorial integrity or political independence of another state is prohibited, unless it is for the purposes of self-defence or it is authorized by the Security Council. The intervention on behalf of an insurgency against a legitimate government, for the purpose of effecting regime change, is quite clearly unlawful. How is Canada’s involvement in an increasingly illegitimate and unlawful operation in its national interest? Several other NATO countries, including Germany, Spain, and the Netherlands, have refused to participate for just these reasons. Canada’s traditional role on the international stage, from the time of Lester Pearson’s Nobel Prize-winning role in the Suez Crisis, has been to operate as an honest broker and peacekeeper. Yet now, while we refuse calls to commit funds to assist the establishment of meaningful democratic changes in Egypt and Tunisia, we throw our resources and national effort into an increasingly illegitimate military intervention in a neighboring Muslim state. Why exactly? If we are apparently so little interested in furthering the “Arab Awakening,” why are we intervening in an insurgency that sprung from the same seeds? Gaddafi’s regime poses no threat to our national security, and even the U.S. government has stated that Libya is not of critical strategic importance. The Canadian government has an obligation to explain precisely how this intervention is furthering the national interest, and is consistent with our national values and traditional roles. The reality is that the primary reason for this policy is to curry favor with the Americans and to enhance Canada’s “influence” within NATO. It is the same reason that Canada has been so committed to the operations in Afghanistan, as Janice Stein and Eugene Lang have revealed in their book The Unexpected War: Canada in Kandahar. Is that a sound reason for committing the nation to armed conflict? Is it worth the money and other resources that are being spent on these operations? Is it of sufficient value to justify the likely enmity that Canada is provoking in the Islamic world for its continuing involvement in military interventions that are perceived as imperialistic? And members of parliament should consider this question: is it really moral or right to ask members of the Canadian Forces to kill and die for marginal increases in Canadian influence within NATO? So rather than rubber-stamping a decision to extend the operations in Libya, members of parliament have a duty to ask tough questions. Among these are: why exactly are we engaging in unlawful regime change? How is it in our national interest? How is it consistent with our values and traditional role in the world? For what purpose are we asking our servicemen and women to die?